As your heating system ages, it can lose efficiency or stop working altogether. At Creighton Laircey Co Inc, we provide the highest level of quality in all maintenance, and all jobs are performed by highly-experienced contractors you can trust. 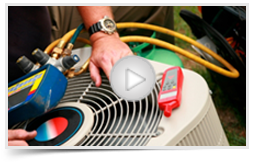 Call today for an immediate consultation from one of our many licensed Heating System Maintenance technicians. We will patiently answer any and all of your questions and discuss every stage of the process to help you determine your system’s needs.